Its nearly here Christmas is around the corner literally guys because there’s only 2 days until Christmas! 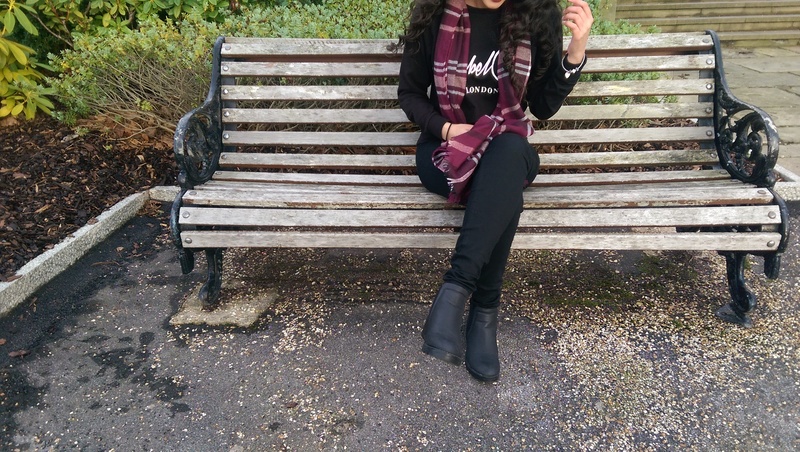 Today I’ve got my favourite section of post because its an outfit of the day I know you guys love them plus it feels like ages since I last did one! 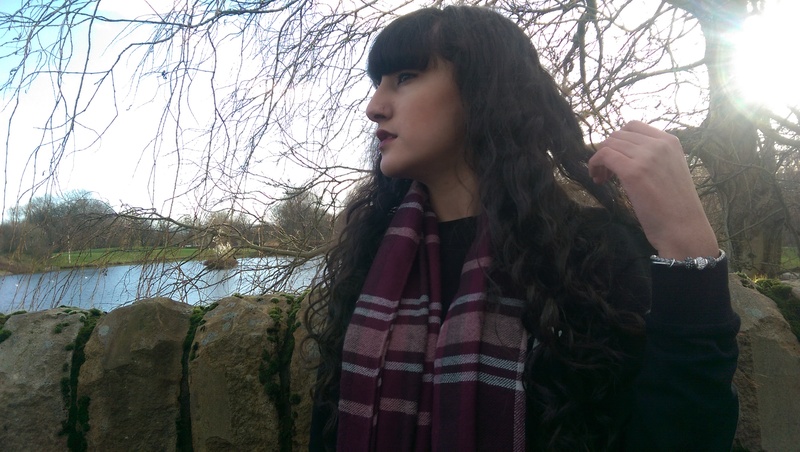 For my make-up I did a dark maroon lip to compliment my outfit with a neutral base and eye make-up if you want a post on this make up look do let me know in the comments. Black Rebel Club Jumper – H&M. I couldn’t find the link to the jumper but I’ve included a link to the t-shirt instead but I’m sure you’ll be able to get it in store if your quick, H&M jumpers are my favourite as they’re the perfect fit and just so comfy as well as casual. Black Skinny Jeans – New Look. Black jeans again are simple yet a necessity in every girls wardrobe but for me they’ve got to be high waisted because that means extra comfy! Chelsea Platform Boots – ASOS. Again same as the jumper I couldn’t find the exact link but the link I’ve included is a similar pair. 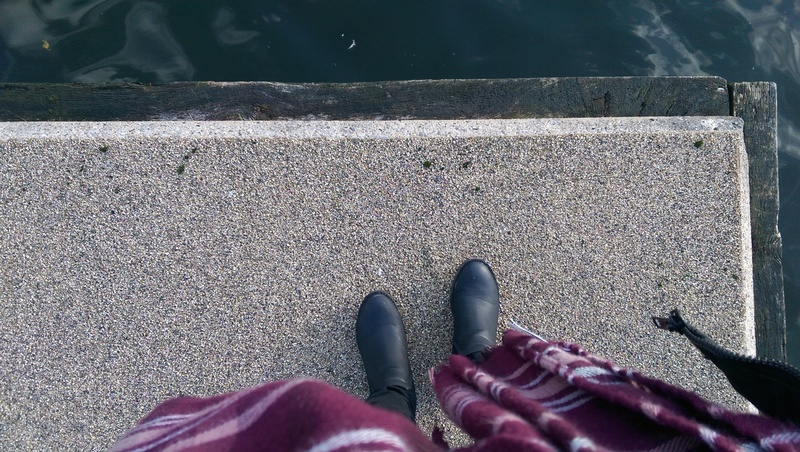 I love my boots especially because I’m quite short and they make me look so much taller – plus they’re perfect for winter. 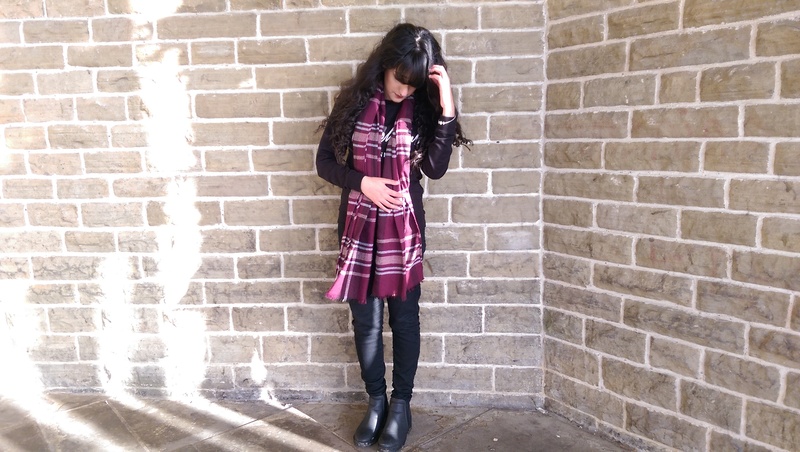 Burgundy Check Scarf – Primark. Finally, my scarf I love it so much. As its so comfy and compliments every winter outfit perfectly. 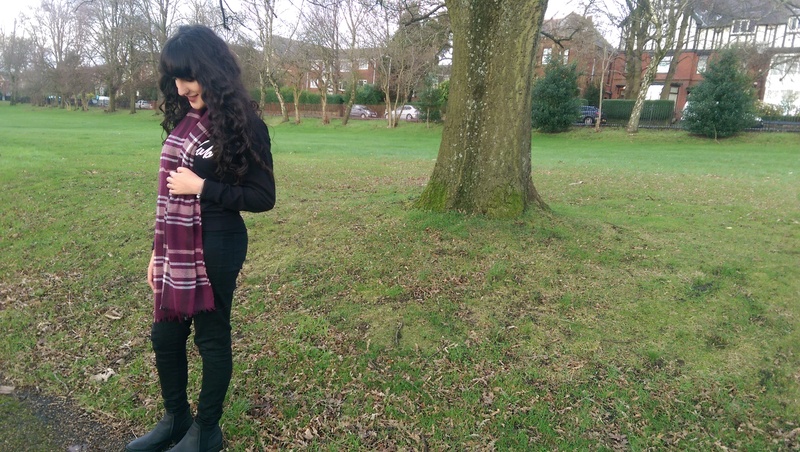 This is one of my favourite outfits during winter as its cosy yet not too dressy – its just right! What’s your favourite winter clothing piece? Comment below.